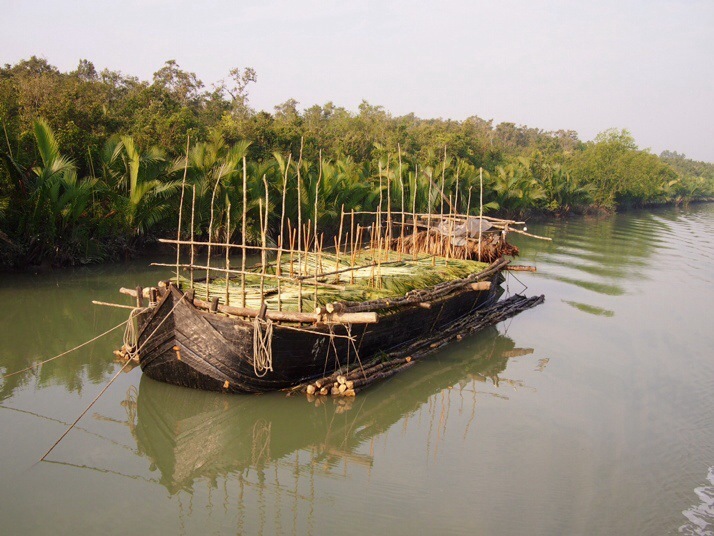 The Sundarbans National Park (pronounced Sh-undarbans) is the largest mangrove forest in the world, and is home to around 400 Royal Bengal tigers, the largest single population of tigers in the world. 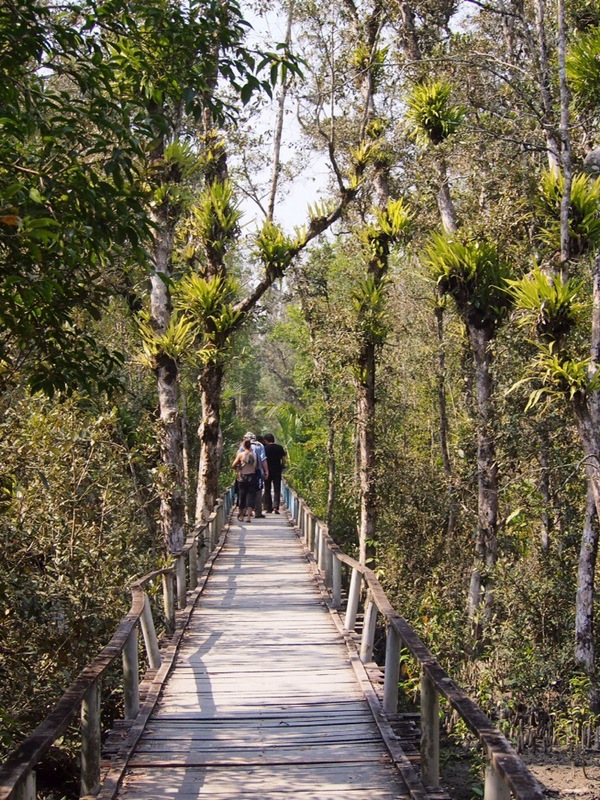 Approximately 60% of the park’s area lies within Bangladesh’s borders, the rest in India. 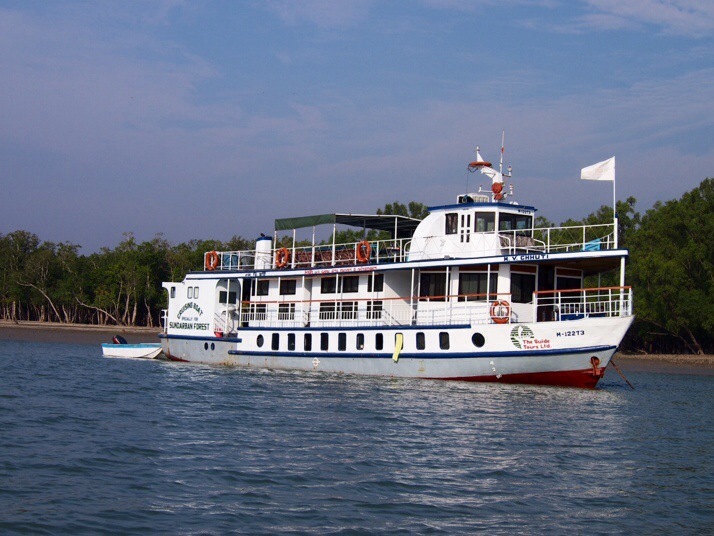 The best way to see the wildlife and explore the forest is as part of an organised tour although there is very little chance of seeing a tiger and (spoiler alert!) we didn’t. We joined a group tour of 3 days and 2 nights with agency Guide Tours. Our group size was eight (a nice manageable size) plus two babies (who were very cute but not so good at being quiet…) and, perhaps surprisingly, we were the only real tourists. The two ladies with the babies, Nathalie (mum to Lucas) and Cameron (mum to Tragar), are ex-pats living in Dhaka (their husbands work for the same firm), Ben from London has a Bangladeshi wife and they were in the country visiting family, she was sorting out some business while he did the trip, Kamal was born in Bangladesh but is now living in the US and again the main purpose of his visit was to see family, Hubert is Dutch and makes an annual trip to Bangladesh to review the work of a charitable foundation which he has set up, each of his trips culminates in a tour of the Sundarbans, and his friend Jewel is Bangladeshi, and as well as running a tour company, he manages the foundation day-to-day. 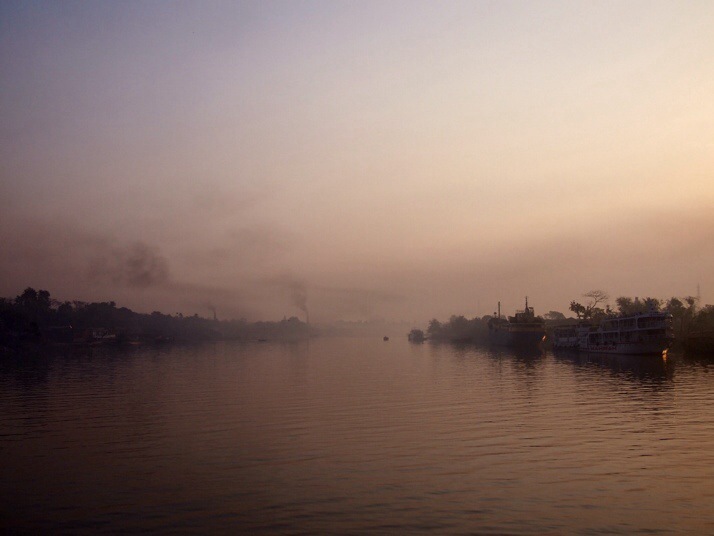 The first morning was an early start, we met with our guide, Emamul, at Jailkhana Ghat (Jailhouse Pier) in Khulna at 7am to shuttle across to the tour boat and start the long cruise south to our overnight dock near the Bay of Bengal. Most of the morning we were outside the National Park and we had the opportunity to see some of the industry and commercial shipping along the river. 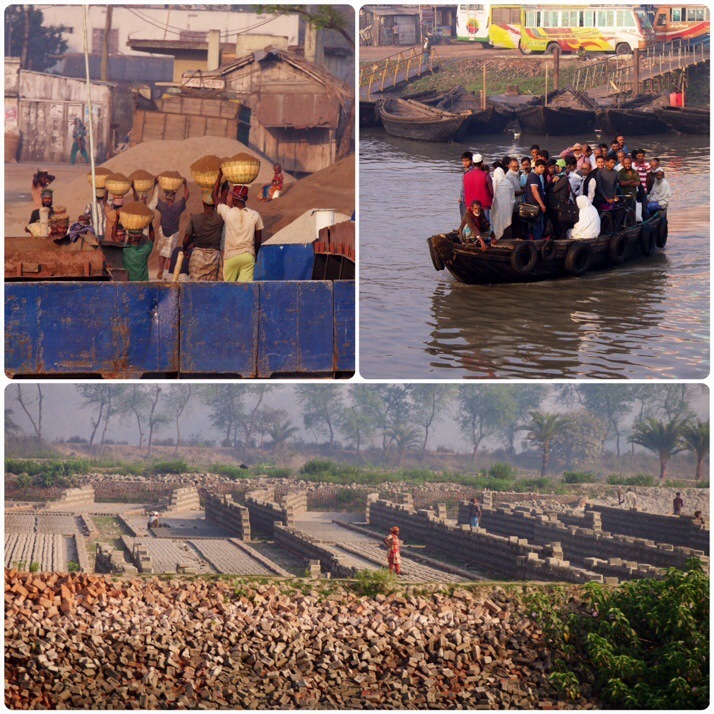 Ships full of raw materials such as sand are often unloaded manually by men carrying basket loads on their heads and there are lots of brick factories along the riverside here, as there are all over Bangladesh. I’m sure we must make bricks in the UK as well but I’ve never seen a factory there, whereas here I think we see 3 or 4 per day! For the remainder of the day we chilled out on the boat, admiring the lush green of the mangrove trees lining the river banks and keeping an eye out for any wildlife. We missed the huge crocodile that some of the others spotted, but we did see some Rhesus monkeys along the shore as well as brief glimpses of the backs of Ganges River Dolphins, plenty of egrets and Brahminy Kites flying overhead. After a delicious dinner of curried crabs whipped up by the onboard chef we retired to our bunks, excited for the 6am alarm call the next day. Our first activity on day 2 was an early morning rowboat trip through some narrower river channels. The mist rising from the water was beautiful and it was lovely to float in silence (barring the occasional shout from Lucas or Tragar) between the trees. We didn’t see any animals but there were otter tracks on the muddy banks and plenty of bird life including our first kingfishers of the trip and a bright Scarlet Minivet flying overhead. After a leisurely breakfast we got into the small speedboat to be ferried to the starting point for our walk to Kotka Beach. Almost straightaway we saw a wild boar at close quarters. 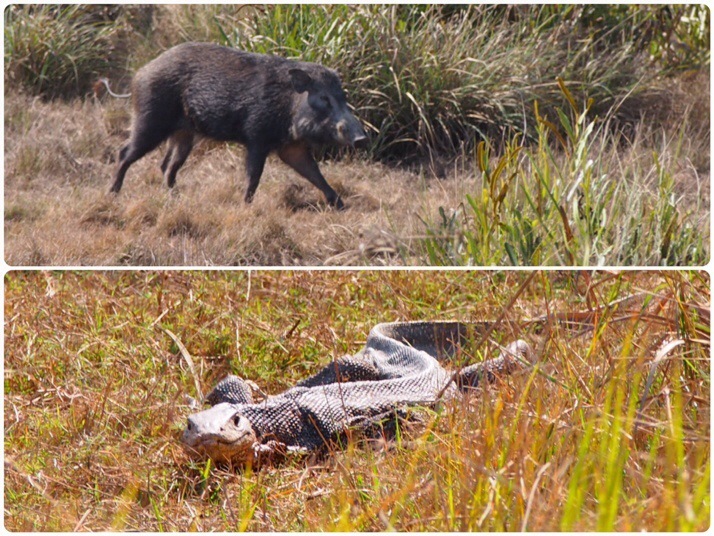 Emamul joked that Bangladeshi wild boars are unafraid of humans as they know that Muslims don’t eat pork! And then Jewel spotted a huge water monitor lizard in the grass, it was about a metre long and watched us for about a minute before it sprinted away. Kotka beach is full of dead trees killed by Cyclone Sidr in 2007 and was quiet apart from scuttling crabs. The other male guests went off to the far end of the beach for a mud bath and Andrew later wished he’d joined them although I don’t think I would have liked the cold seawater to rinse off with. 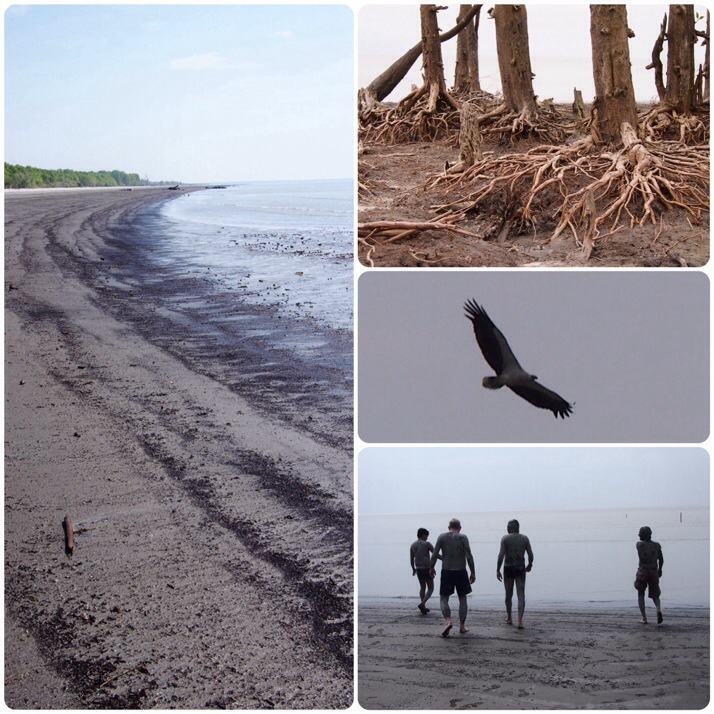 There didn’t seem to be much wildlife at the beach until a white bellied fish eagle flew over just as we were leaving. As soon as we were back on board after the afternoon’s walk, the boat lifted anchor and started motoring north for 4 hours before bedtime. That meant that we would have enough time for an excursion on the third day as well as getting back to Khulna for the evening train to Dhaka which some of the others were booked on. 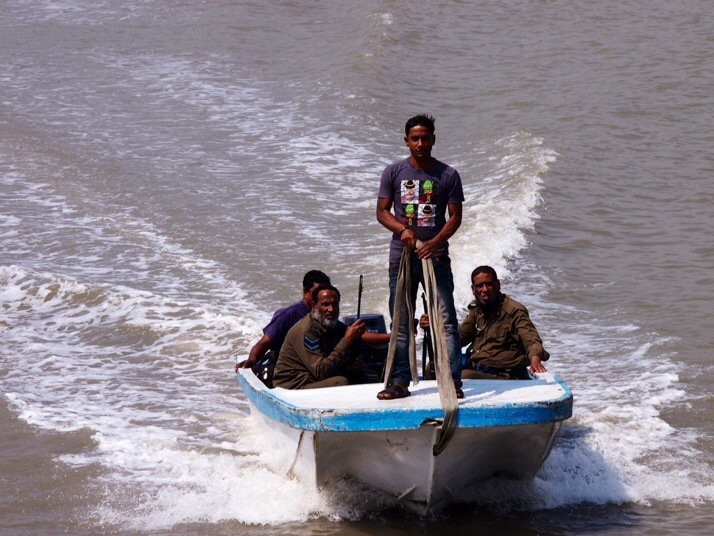 Early in the morning we started moving again and soon moved into a relatively narrow channel where we saw lots of boats collecting palm leaves (which I think are used for roofing), three different kinds of kingfisher and a fleeting glimpse of a crocodile in the water. Stopping just before lunch we set off for another walk through the forest. This one seemed even faster paced than the day before and with ten or so people tramping along a wooden boardwalk it was never very likely that we would see much wildlife. For the rest of the journey we saw similar sights to the first morning. We arrived back in Khulna feeling privileged to have seen some of the richness of the National Park and fearful that the rapid development of Bangladesh and India might put it at risk – Emamul told us of plans to build a power station on the bay at the southern edge of the park and it’s inconceivable that such a huge project won’t have a massively negative impact on the fragile habitat and biodiversity of the area. 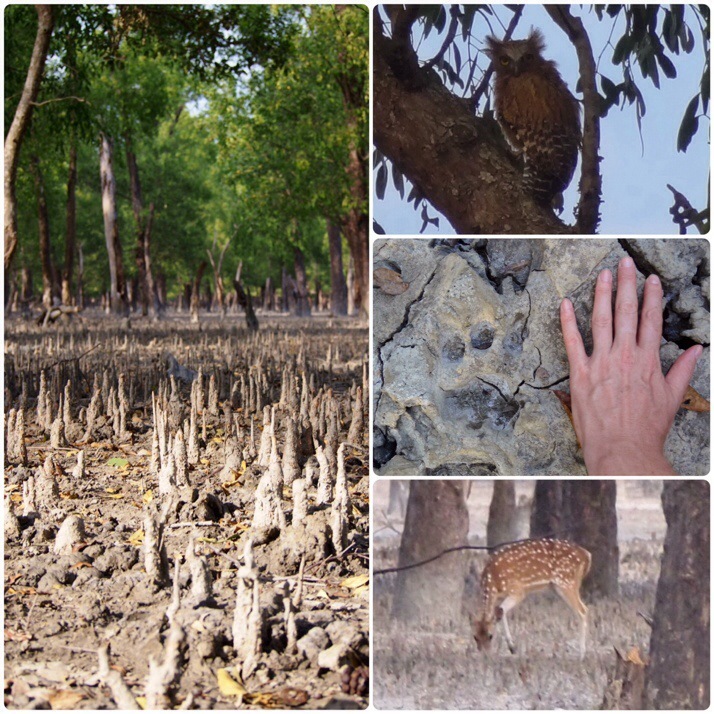 This entry was posted in Places and tagged Bangladesh, Sundarbans on April 8, 2014 by Julie. It’s a shame you didn’t see a tiger, but it looks like a good trip anyway. I know, we knew the chances were tiny – our guide had only seen three and he’s been doing trips for six years! 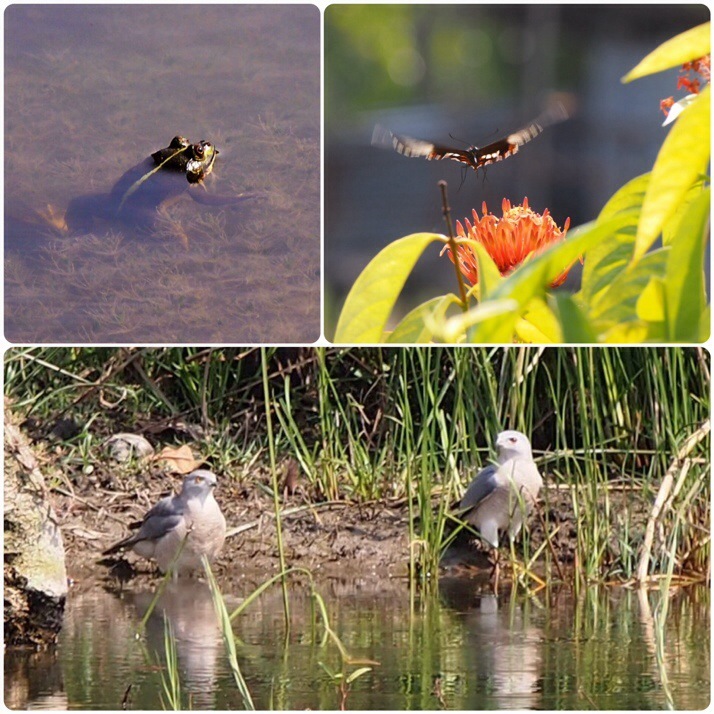 It was a great trip though – so much wildlife without the tiger. Really nice blog good information sharing about travel. I am really enjoyed read your article. Thanks Nijhoom. 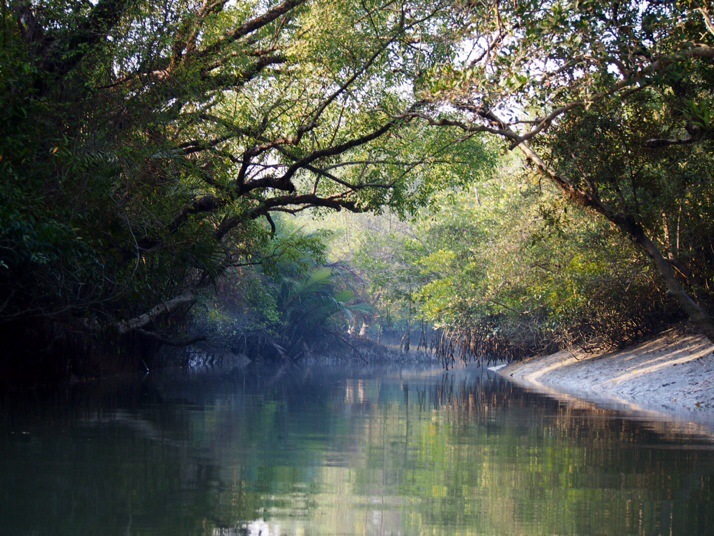 The beautiful Sundarbans National Park was one of the highlights of our trip to Bangladesh. May I know if we could book the tour in Khulna or we must book it online? and which tour company did you go with? We used the Guide Tours agency. I contacted them by email before we arrived in Bangladesh and they also have an office in Dhaka.